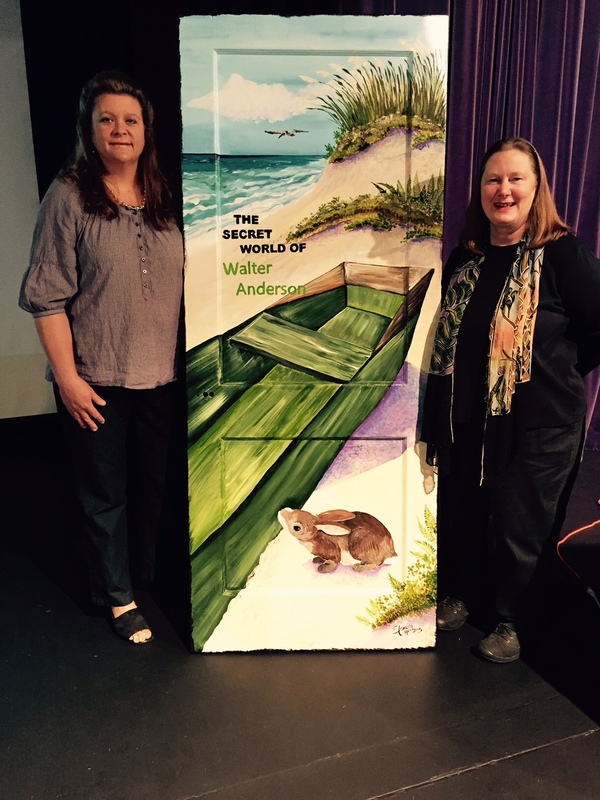 On August 20, 2015, Stone County students and citizens “enjoyed the journey opening the door to literacy” with award winning Author Hester Bass and the “Secret World of Walter Anderson.” Thanks to our sponsors and partners Stone County Economic Development Partnership (SCEDP), Stone County School District, the Mississippi Gulf Coast Community College Perkinston Campus and Fine Arts Department, Friends of Stone County Libraries, the Stone County Arts Council, and the Pine Belt Libraries. 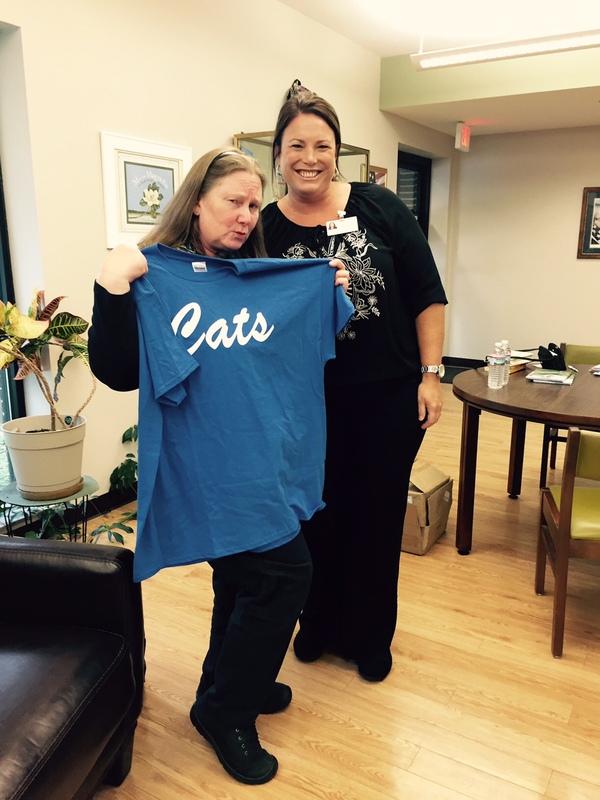 Laura Butler makes Bass an honorary Tomcat. 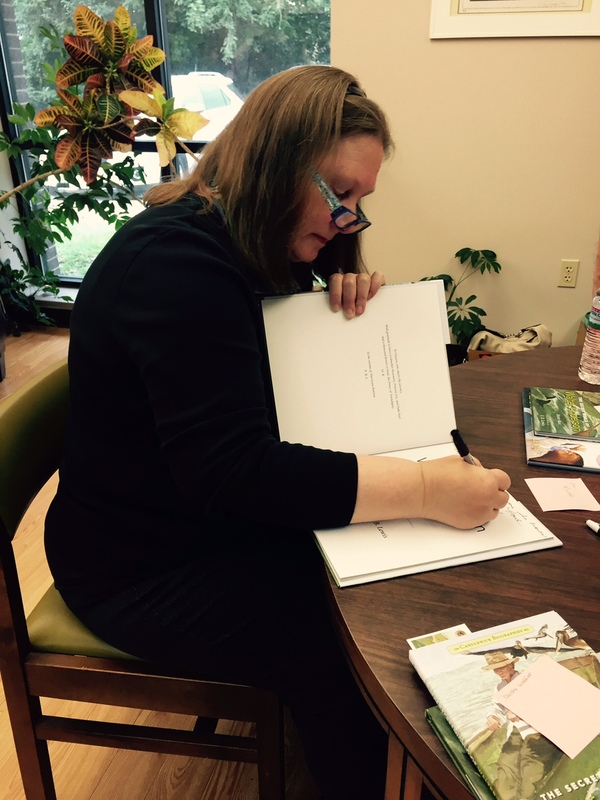 Author Hester Bass at the book signing at the Wiggins Library. 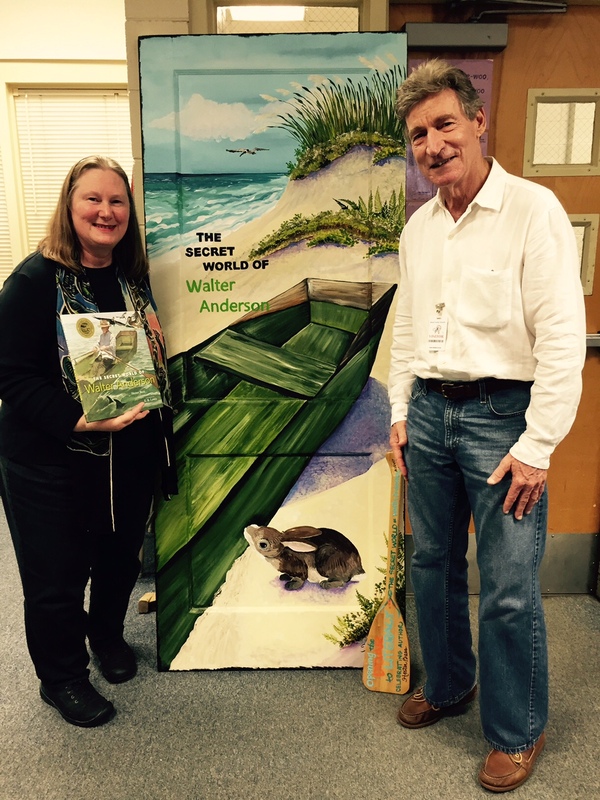 Artist Elizabeth Huffmaster donates “opening the door to literacy” celebrating Walter Anderson. 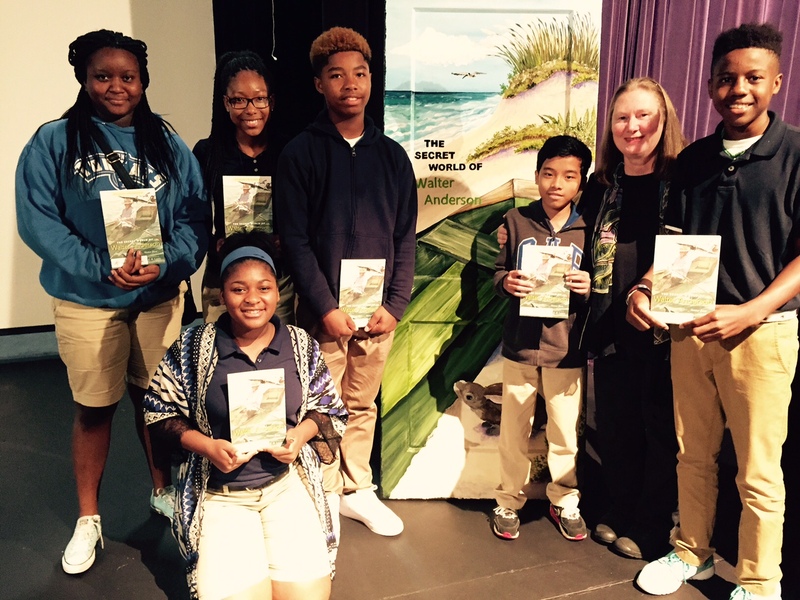 Opening the door to literacy.